The show takes you through the high’s and lows of Billie Holiday’s career punctuation each story with some of her greatest hits like God Bless The Child, Good Morning Heartache, Strange Fruit, Don’t Explain, All of me and many more. 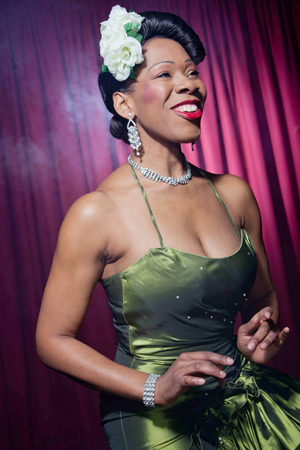 Billie’s unusual timbre tells a story like no other jazz singer. Her phrasing and timing is heartfelt as she takes you on a journey which encapsulates her many influences including prostitution, the cops, doing time and the affects drugs had on her life. Her relationship with men, her work, the abuse she suffered by those who took advantage of her. What drove her and finally killed her. Photographer: Eric Richmond.